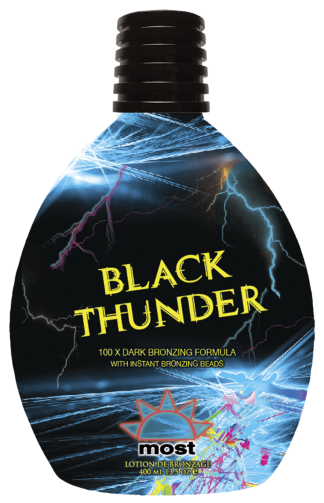 Dark Bronze Color will rain all over you with drenching black bronzers and DHA for sustained color. Silicones shower the skin in Anti-Aging and wrinkle reduction to leave a youthful appearance in its path. Ink Armor provides protection for your tattoos to keep them colorful and vivid. • Bronzing Beads- provide instant bronze color. • Silicone Emulsion- for easy application and silky, soft feeling skin. • Unipertan-accelerates melanin production for natural deep, dark tanning. • Ink Armour-Avocado Extract and Shea Butters enhance colors and protect.